A a lifelong resident of Providence, Rhode Island, Dr. Anthony D. Paolucci received his Bachelor of Arts in biology from Boston University in 1981. He earned his Doctorate of Dental Medicine in 1985 from Tufts University School of Dental Medicine. The owner of Paolucci Family Dentists for more than 25 years, he has enjoyed delivering quality care to all his patients, including the underserved communities of St. Mary’s Home for Children, Harmony Hill School, and Donated Dental Services. Over the last ten years, Dr. Paolucci has served as an associate clinical instructor operative dentistry and prosthodontics at Tufts University. As Providence peer review chair, he has been an advocate and an effective mediator for patients throughout the dental community. He also appears as a guest lecturer as part of the ethics curriculum at Tufts University, which he specializes in peer review and case presentation. Dr. Paolucci is a member of the Delta Dental of Rhode Island credentialing committee. 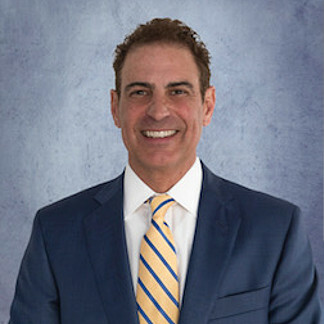 He is also affiliated with the Rhode Island Dental Association, the Providence District Dental Society, and the American Dental Association, and is a longstanding member of the Academy of General Dentistry.